I guess many of you are busy with entertaining children during half-term but could I just ask you to spend five minutes on this latest News Roundup? Let me get straight into it! 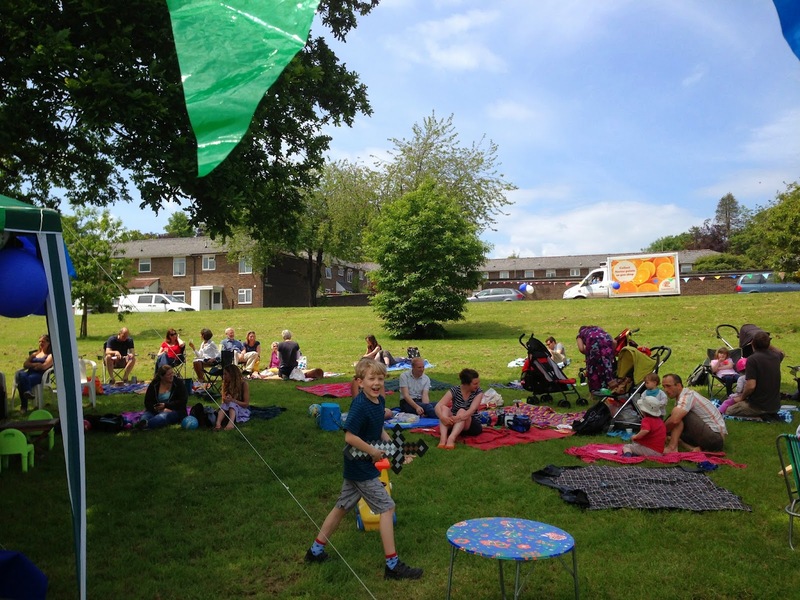 This Sunday we will have our Big Lunch in the main park off Chaundler Road, 12 to 3pm: a one day get together for neighbours across the UK! Come along with a plate of food to share, your own drink, and something to sit on. Some experimental German cakes provided by me! Volunteers for tidying up afterwards would be very welcome! We still didn't get consistent feedback about how often our greens should be mown, let's hope there will be one more cut before Sunday. I think it's a good time to mention ticks again, they like long grass. The Lyme Disease Action page describes very well what should be done to remove ticks. You can either use a removal tool or fine tweezers - but do follow what they are saying on the page to avoid Lyme Disease. A good pre-caution is to wear long trousers when walking through long grass. Your feedback would be welcome on this: Jane had a very positive meeting earlier this week with David Malone, Director of Football at Winchester City Football Club. The club is keen to engage with the local community and we'll be keeping in touch with David about the Club's plans for the future. David has asked us to gauge interest in Saturday morning football coaching sessions at the club, aimed at girls and boys aged 4-9, all abilities. If you would be interested in your children coming along to these sessions, please let us know so we can give David an idea of numbers. 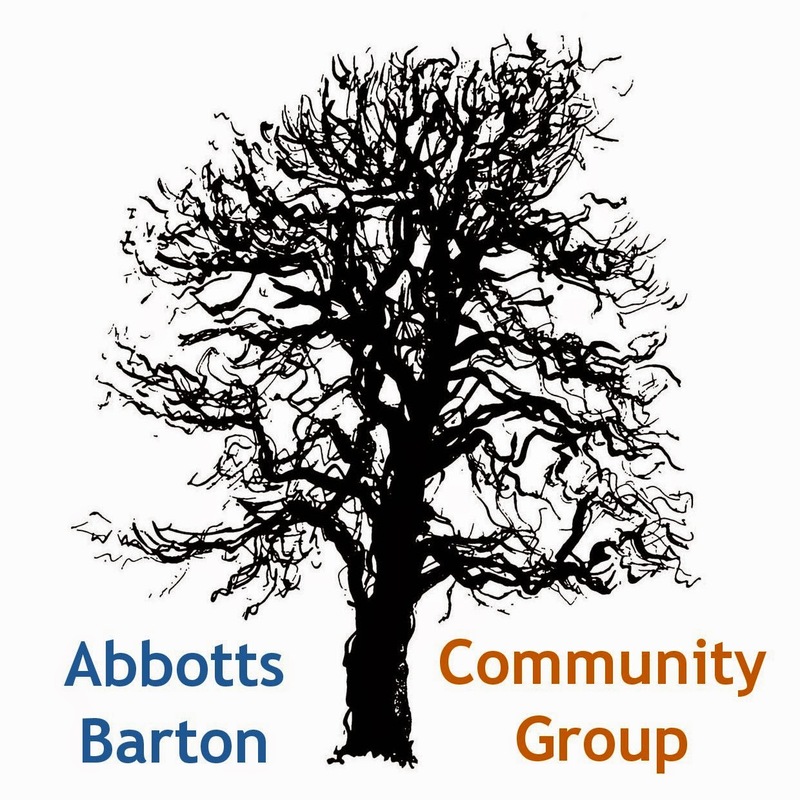 Abbotts Barton park consultation: If you haven't done so yet, please fill out the online survey and submit it to the City Council. The HCC bus route consultation: WinACC has published an article that might help you along with your answers. As a 'for your information' - I was wondering for a long time why our Facebook page wasn't visible to anyone who is not signed in to Facebook. It turned out it was a setting limiting the audience to the UK. The setting has been removed and the page can now be used as a source of information for everybody. I'm posting things that I find interesting every day, so if you haven't done so yet, please do go and check it out and maybe add it to your bookmarks. Alternatively there's also our Twitter feed. Going forward, I am planning to use the News Roundup posts only for the most important items due to personal time constraints. I'm assuming most people will by now know the outcome of the City Council elections, if not, you can see the numbers here published by WCC and/or read this article in the Daily Echo. A low turn-out again, with only 43% of people in our ward actually voting. As somebody put it on Twitter, "If you don't use your right to vote you lose your right to complain." And finally, the next Councillor's Surgery will be Thursday 5 June from 7:30 to 8:30pm at Hyde Parish Hall.